The Texas Horsemen's Partnership's longtime President/CEO Tommy Azopardi has resigned from his position with the organization after 12 years of service to the horsemen and women of Texas. The THP and its staff worked with InCompass Solutions to develop the revolutionary Horsemen’s Bookkeeper System that allowed Texas horsemen and women to take control of and properly monitor their purse funds. This also brought the branch banking concept to THP members, who are now able to use their Horsemen’s Bookkeeper account to monitor and manage their financial activities related to horse racing in Texas. Since the THP first launched the Horsemen’s Bookkeeper System, several other state horsemen’s organizations have worked with InCompass to launch the program in their states. Also under Tommy’s leadership (not to mention the tireless work of former TTHBPA Director Susan O’Hara, Groom Elite Executive Director Reid McLellan, and others), the Groom Elite groom training program launched and has grown from a Texas-only educational program into a successful national educational program encompassing multiple levels of classes for grooms and trainers at racetracks all over the United States. It has become the standard for groom training in the horse racing industry. Tommy is a great believer in the importance of communication, and this website and The Texas Horsemen's News are just two examples of how he endeavored to improve communication between the THP and its members. 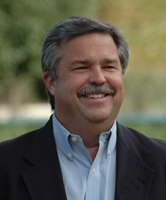 He also strove to improve the THP’s communication and relationships with other horsemen’s groups, the Texas racetracks, and the Texas Racing Commission, among others. The THP, its members, and staff have benefited greatly from Tommy’s vision and leadership over the last dozen years, and his presence will definitely be missed. We send him off with best wishes for the future. The THP Board of Directors will conduct a search for the most qualified candidate to fill the position.